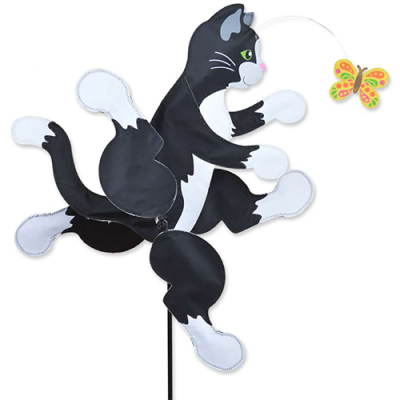 Spinner is Made of SolarMax Nylon, and Heavy Duty Fiberglass. Comes complete with everything you need to display your spinner. 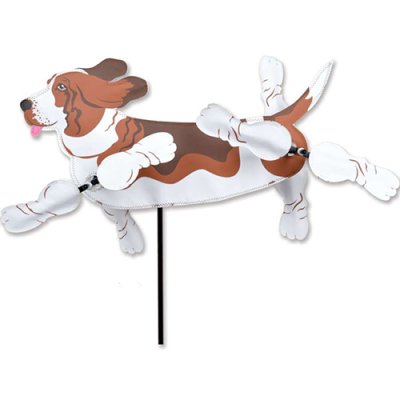 Schnauzer Spinner is Made of SolarMax Nylon, and Heavy Duty Fiberglass. Comes complete with everything you need to display your spinner. 18" Frog Spinner is Made of SolarMax Nylon, and Heavy Duty Fiberglass. Comes complete with everything you need to display your spinner. 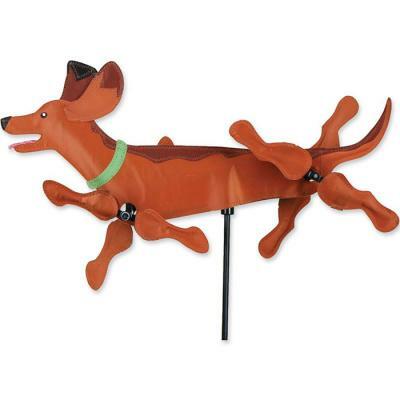 Dachshund Spinner is Made of SolarMax Nylon, and Heavy Duty Fiberglass. Comes complete with everything you need to display your spinner. 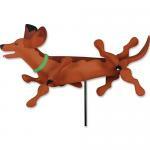 28" Dachshund Spinner is Made of SolarMax Nylon, and Heavy Duty Fiberglass. Comes complete with everything you need to display your spinner. This spinner is 17" x 8" and 15.75" in diameter. They are made of a solar max fade resistant nylon material. Makes a fun addition to any yard. This Premier spinner is Made of SolarMax Nylon. Comes complete with a fiberglass pole and ground spike. Measures 18.5 in. x 9 in. Comes complete with everything you need to display your spinner. 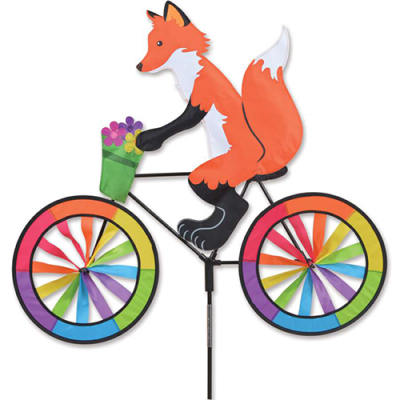 The Flying Horse Spinner is Made of SolarMax Nylon, and Heavy Duty Fiberglass. Our Spinners are better and stronger than any manufacture. Measures 27"x26" and 26" in diameter. Comes complete with everything you need to display your spinner. This spinner is made of a solar max fade resistant nylon material. Makes a fun addition to any yard. Comes 13"x17" and 20" in diameter. This Premier spinner is Made of SolarMax Nylon. Comes complete with a fiberglass pole and ground spike. Measures 39"x34" and 32" in diameter. Comes complete with everything you need to display your spinner. This Premier spinner is Made of SolarMax Nylon. Comes complete with a fiberglass pole and ground spike. Measures 37"x32" and 32" in diameter. Comes complete with everything you need to display your spinner. The Flying Pig Spinner is Made of SolarMax Nylon, and Heavy Duty Fiberglass. Our Spinners are better and stronger than any manufacture. 23". Comes complete with everything you need to display your spinner. This spinner is made of a solar max fade resistant nylon material. Makes a fun addition to any yard. Comes in two sizes. One is 13"x6.5" and 27" in diameter. The other is 18.25"x9.25" and 27" in diameter. This Premier spinner is Made of SolarMax Nylon, and Heavy Duty Fiberglass. Our Spinners are better and stronger than any manufacture. Comes complete with everything you need to display your spinner. 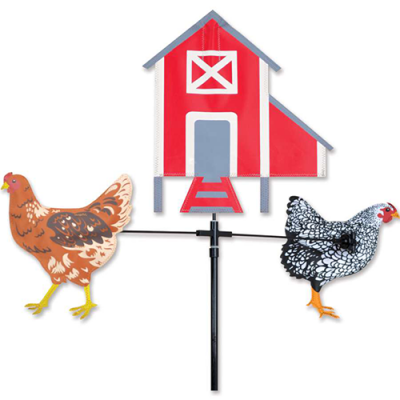 This Whirligig Spinner by Premier captures the fun of the old style metal or wood spinners but made of durable SunTex fabrics so they spin in the lightest breeze. Comes with fiberglass staff and ground spike. Easy to assemble. Size 28" X 9.5" and 28" in diameter. Beep Beep! 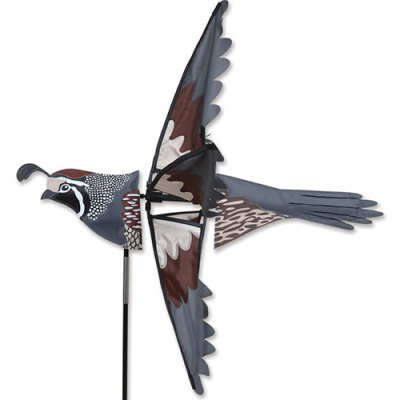 New Whirligig Spinner by Premier captures the fun of the old style metal or wood spinners but made of durable SunTex fabrics so they spin in the lightest breeze. Comes with fiberglass staff and ground spike. Easy to assemble. Size 26" X 12" and 28" in diameter. This spinner is 26.5" x 11" and 25" in diameter. They are made of a solar max fade resistant nylon material. Makes a fun addition to any yard. 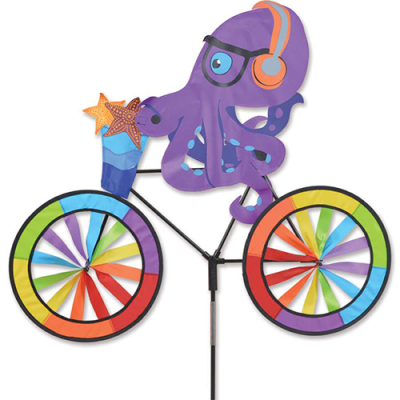 These Petite Spinners are made out of durable polyester rip-stop nylon and come with everything you need to display the spinner in the ground. They are 18" x 13.5" with a diameter of 13.5"